Aside from Smokey Robinson, no one completely dominates Motown’s landscape like Marvin Gaye. 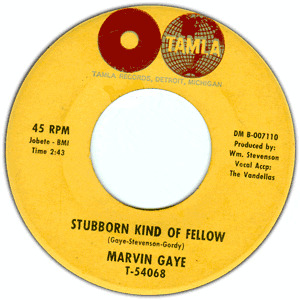 Gaye’s debut album was the second record released by the label – right behind the Miracles first platter. Gaye and Robinson’s songwriting credits littered the charts until the Holland, Dozier, Holland and Whitfield, Strong teams took over. Gaye was famously married to Barry Gordy’s sister, Anna, while Robinson named his first son in honor of the label’s founder. The impact and legacy of these two men is intertwined and it is impossible to imagine the Motown empire with them.